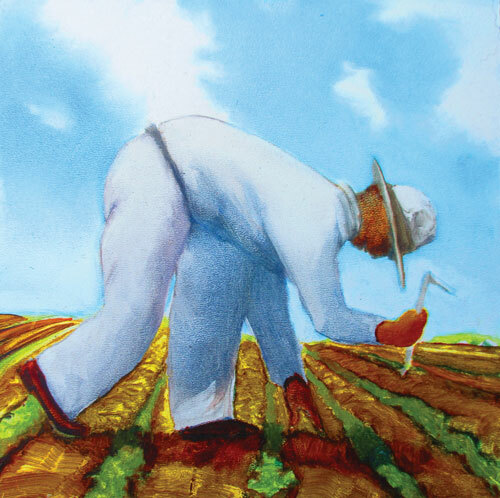 In this show Winthrop Gallery artists offer artworks that reflect upon the fullness that we experience in the fall harvest. Expressed in paintings, drawings, photographs and more, this show is a celebration of fall. 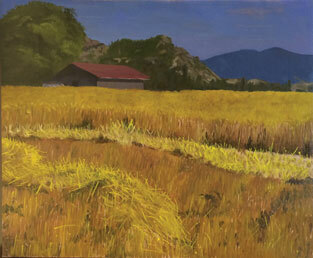 Susan Donahue offers her oil painting “Wheat Field between Winthrop and Twisp”. “The wheat field being harvested is located between Winthrop and Twisp on Highway 20,” explains Susan. She hopes her viewers will feel that the landscape is familiar in that it depicts a specific time and place but also that the painting shows something previously unforeseen as if coming upon the scene by chance. DATES: Exhibit: Sept 19-Nov 12. 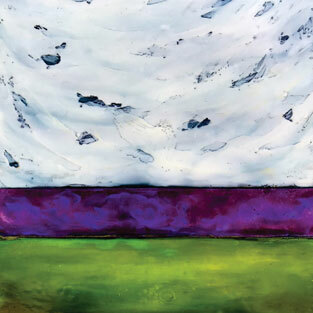 Reception: Sat, Sept 22, 11am-3pm. Refreshments will be served. LOCATION: The Winthrop Gallery, 237 Riverside, downtown Winthrop. HOURS: September, daily 10am to 5pm; October Thursday through Monday. INFO/CONTACT: 509-996-3925, www.winthropgallery.com.